Truly ONE of a KIND Custom Brick Home! IMPRESSIVE 20 ft + Ceilings w/Antique European Chandelier,Grand Stair-case & black marble floors. Executive Office to the Right w/Vaulted Ceilings! Tremendous amounts of moldings & details throughout this home! HUGE Great Room w/Vaulted Ceilings,Black Granite Fireplace w/Gas Logs & Beautiful Wood Flooring! French Doors off this room open into the Private Patio Courtyard! Recently Updated Kitchen w/Exotic Granite,Custom Back-splash,Wood Cabinets,Custom Tile flooring & newer SS Appls! Luxury Master Suite w/Wood Floors, Double sided Gas FP into the Master Bath! This Bathroom has custom faucets,sinks Jacuzzi tub & HUGE walk-in Shower! UP: HUGE Bonus Room,3 Large bedrooms,2 full baths,1 being a Jack-n-Jill. Added Finished spaces off 1 of the bedrooms could be great for Kids Den or finished storage! 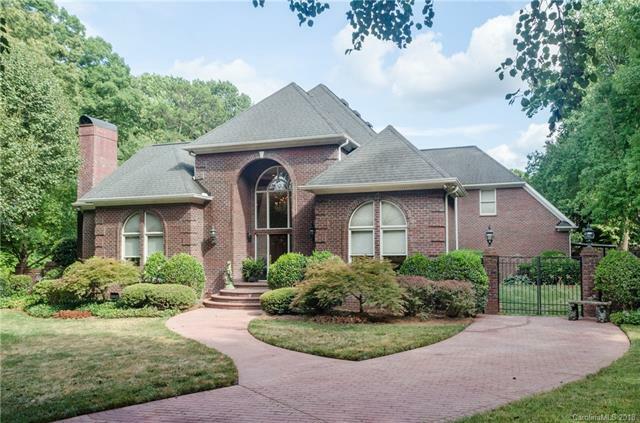 HUGE Private Side-yard, brick cobblestone driveway! HVAC's recently updated in 2014. Appraised Replacement Value $979,000!